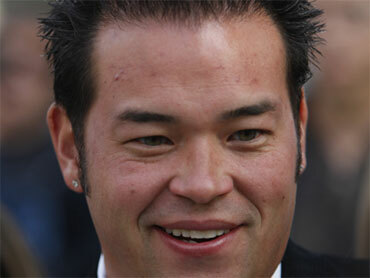 Now that his partying is done, Jon Gosselin is trying to be the "No. 1 Dad" -quite literally. The former reality TV dad is taking his ex-wife, Kate Gosselin to court to get primary custody as well as spousal support, saying that "Dancing with the Stars" is damaging his kids, TMZ reports. Kate is a contestant on the wildly popular reality show dance competition and is partnered with professional dancer Tony Dovolani. According to Jon's new lawyer, former assistant U.S. Attorney Anthony F. List, Kate is "an absentee mom," which he tells TMZ, is no surprise to anyone. Will "DWTS" be used as evidence? If it's up to List, it will. The outspoken attorney also claims that because of the show Kate does not spend "quality time with the eight kids." And as far as the child support goes, List tells TMZ that he thinks Jon isn't getting enough money and that "$20,000 a month is ridiculous." In addition to the request for primary custody, List is encouraging Jon to be more ambitious, telling TMZ that he is considering asking the judge to reverse the support obligation and make Kate pay Jon. He did not specify the amount. The Gosselins' divorce was finalized in December, ending a 10-year marriage. The former couple has eight children (a set of twins and sextuplets). Their supposed happily married life was played out on TLC'S reality TV show, "Jon and Kate Plus 8." Jon allegedly cheated on Kate with Hailey Glassman who is the daughter of Kate's doctor. Jon's behavior dramatically changed after the spilt and his partying made headlines. Although Jon has been trying to tone it down, the court drama hasn't ended.